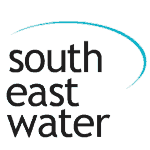 Our local Plumber Blackburn South is available to attend your Home or Business in 1 hour. For a professional no nonsense local Plumber Blackburn South you need Inner City Plumbing. Our team of professional Plumbers are able to service all your plumbing requirements 7 days a week. Our trained and fully licenced Plumber Blackburn South can arrive at your location at any time of the day for your convenience. We are so confident of our plumbing service in Blackburn South that we have a 1 hour guaranteed response time. Our team of certified Blackburn South Plumbers are professional, reliable, courteous, efficient, on time and very customer focused. We strive for 100% customer satisfaction and we expect nothing less. We will remain until you are completely satisfied because you are our No 1 priority. Inner City Plumbing is your local professional Plumber Blackburn South. 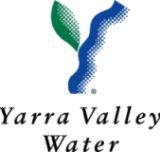 Call us now on 1300 668 834 to have our local Plumber visit you any time of the day or night in Blackburn South. Inner City Plumbing has been providing plumbings services to local residents and business owners in Blackburn South for over 20 years. Our team of friendly professional certified Plumbers offer Blackburn South customers all types plumbing services such as hot water system repairs and replacement, sewer renewal and drain camera inspections. To reach us immediately call our 24/7 number 1300 668 834. Our friendly reliable Plumber Blackburn South will gladly answer any questions and book you for a service call at your convenience. 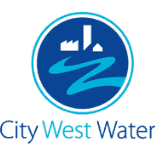 If you need a 24hr emergency Plumber then Inner City Plumbing is your local Plumber Blackburn South. We have over 20 years of experience in emergency and general plumbing in and around Blackburn South. With modern and up to date equipment, training and experience we are able to diagnose your plumbing problem quickly in Blackburn South. you will not have to wait for our emergency Plumber Blackburn South to fix your plumbing emergency. We guarantee that our emergency Plumber Blackburn South will be at your location within the hour! We work hard to achieve 100% customer satisfaction which means your Plumber Blackburn South will not take any shortcuts or provide substandard workmanship. The last thing you need is to pay twice for a job gone wrong or book another appointment to have a Plumber Blackburn South visit you a second time to fix poor workmanship. Our professional Plumber will always do their very best to fix the plumbing emergency right the first time. That is why our emergency Plumbers in Blackburn South have vehicles that are fully stocked and equipped to handle just about every plumbing situation. However if we do not have the right part or equipment on board, we will put a short term solution in place to get you out of trouble. We will then return within 24hrs to complete you job to your satisfaction. Inner City plumbing is your 24hr emergency Plumber in Blackburn South. If you have a plumbing emergency you can rely on Inner City plumbing. Our 24 hour Plumber Blackburn South can be at your location within 1 hour. 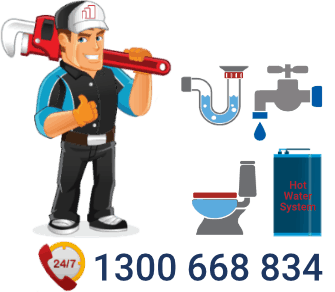 Call 1300 668 834 and our for our 24 hour Plumber Blackburn South will be there to fix any plumbing emergency. 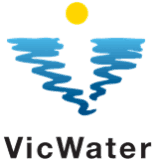 For over 20 years we have been servicing Melbourne with genuine 24 hour plumbing services. When a plumbing emergency occurs in Blackburn South we know what to do . 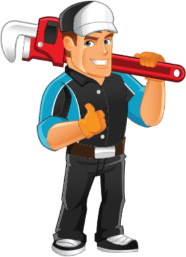 With years of experience in taking care of plumbing emergencies in Blackburn South and Melbourne we know how diagnose and fix a plumbing problem quickly. Our 24 hour Plumber Blackburn South can be at your location to resolve your problem within 60 minutes or less. Unblocking a blocked drain in Blackburn South needs an experienced and qualified professional Plumber to handle the job. If you have a blocked drain in Blackburn South it’s always better to call a professional Plumber to fix the blockage. By trying to fix it yourself you can run the risk of causing more damage to your drains or pipes without using the correct equipment and procedures to unblock your drain. This can result in more expensive repair costs in the long run. Our team of dedicated Plumbers in Blackburn South can make sure your drain is unblocked correctly. More importantly, we are open 24 hours a day, 7 days a week to service your needs. We are your local blocked drain Plumber in Blackburn South. With modern and up to date equipment our drain camera services in Blackburn South operate 24 hours a day 7 days per week. The benefit of using a drain camera to inspect your drains or pipes is that the Plumber can identify any potential issues or blockages that are hidden from above the ground. A drain camera inspection can save you time and money. We deal with drain and sewer problems that require drain cameras in Blackburn South all the time. Best of all, our services are open 24 hour a day 7 days a week for your convenience. Add that to our 1 hour guaranteed response time and we are Melbourne’s best plumbing service. We can also pressure clean your drains and sewers if required. Your local Plumber Blackburn South has all the equipment and skills to deal with all types of plumbing problems whenever they occur. If you have a gas leak don’t panic. Or maybe you can smell gas in your home? If so you need a Gas Plumber Blackburn South and Inner City Plumber is your licensed gas professional for all gas installations, gas leaks and gas repairs in Blackburn South. Gas leaks can be very dangerous and should not be underestimated. For safety make sure you use a qualified gas Plumber Blackburn South to find and fix the gas leak. Anything to do with gas appliances such as heaters or cooktops should be handled by a professional licensed gas fitter. With our 1 hour guaranteed response time our gas Plumber Blackburn South is only a phone call away. Call 1300 668 834 for immediate service. Our professional plumbing team are certified and qualified gas Plumbers. We guarantee your job will be completed in a timely manner. 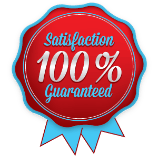 We have a long established reputation for 100% customer satisfaction in and around Blackburn South. Inner City Plumbing is your first choice for a reliable gas Plumber Blackburn South. We do gas fittings and gas installations throughout Blackburn South and surrounding suburbs. Inner City Plumbing is your leading gas Plumber Blackburn South. Blocked toilet or sewer can be very inconvenient and expensive to fix. Regular sewer maintenance around the home or business is often neglected which can result in an blocked toilet. Fortunately, most blocked toilets and blocked sewer pipes in Blackburn South can be easily fixed by our friendly team of professional Plumbers. One phone call to us and we can unblock, repair or replace your toilet. Call us now on 1300 668 834. Your local Plumber Blackburn South can quickly diagnose a blocked toilet and either repair or replace it as required. Inner City Plumbing are your expert roof Plumber Blackburn South. We can detection roof leaks or roof damage quickly so that roof repairs are done in a timely manner. We have over 20 years experience and have seen just about every possible roof leak imaginable and yours is no exception. Plumber Blackburn South	Overall rating:	4.6	out of 5 based on 117	reviews.